It’s getting to that point of year when its dark when we wake up and dark when we go to sleep. The days are shorter and we don’t see so much of the sun. In the dark days of winter, having colour in your home can be so important. And so, my inspiration for this week’s project is born – a colourful, patterned vase. Mixing patterns seems like it shouldn’t work, but it does. Don’t be afraid to experiment. Polka dots and stripes, plaid and hounds-tooth, they go together better than you would think. 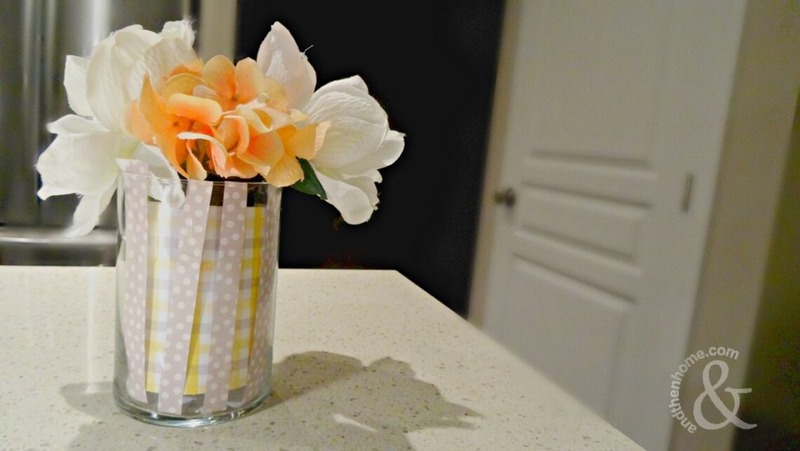 Using scrapbook paper and tape, this ten-minute project can add light and whimsy to any decor. 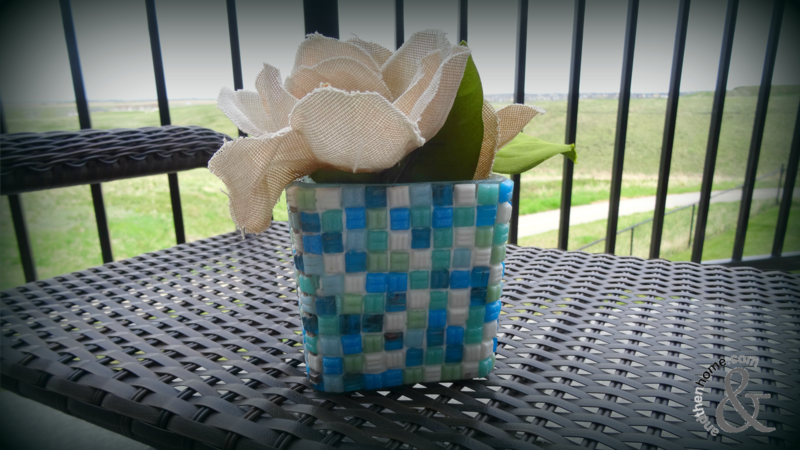 This a great project for DIY newbies and for pro’s with only a few crafting moments to spare. Let’s get to it! 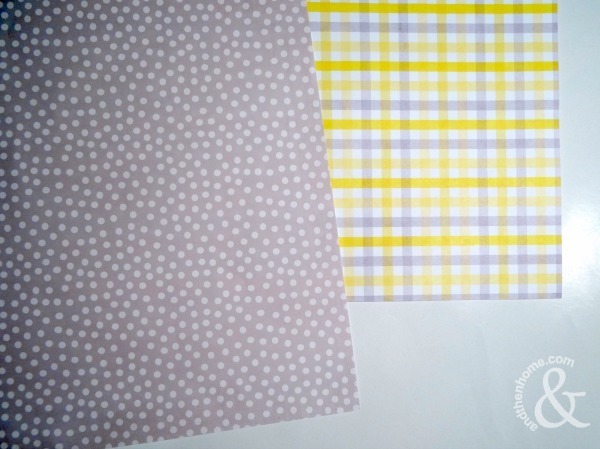 Select two sheets of colourful, patterned scrapbook paper. Don’t be afraid to mix patterns! 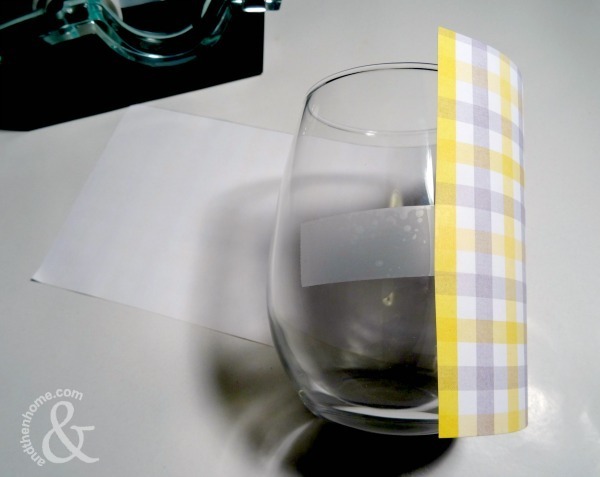 Measure one of the papers to wrap around the smaller vase (or in my case, a stemless wine glass) and use some tape to hold in place. No tape in the house? Get some here. Measure out some stripes of paper from your contrast colour and cut out. Try cutting the stripes into a couple different sizes. 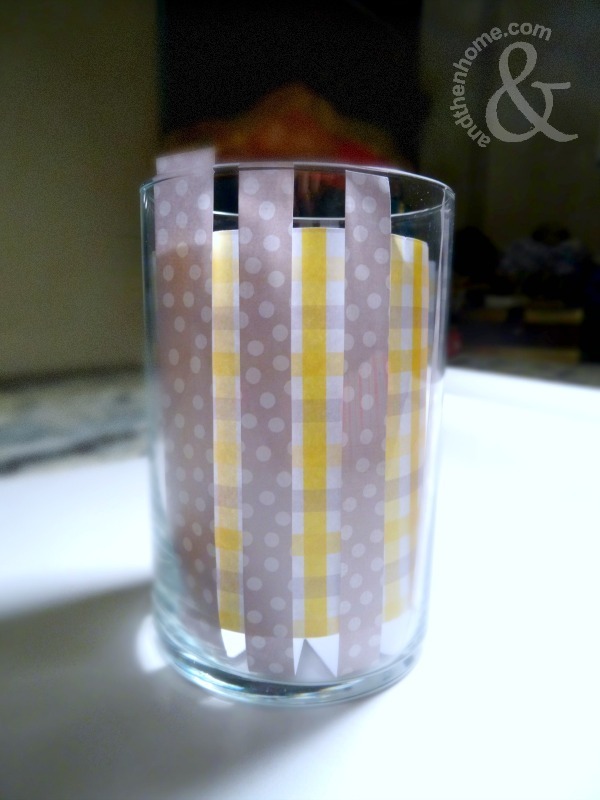 Fold the stripes to fit inside the larger vase. Try one of these rulers, they will change your crafting life! 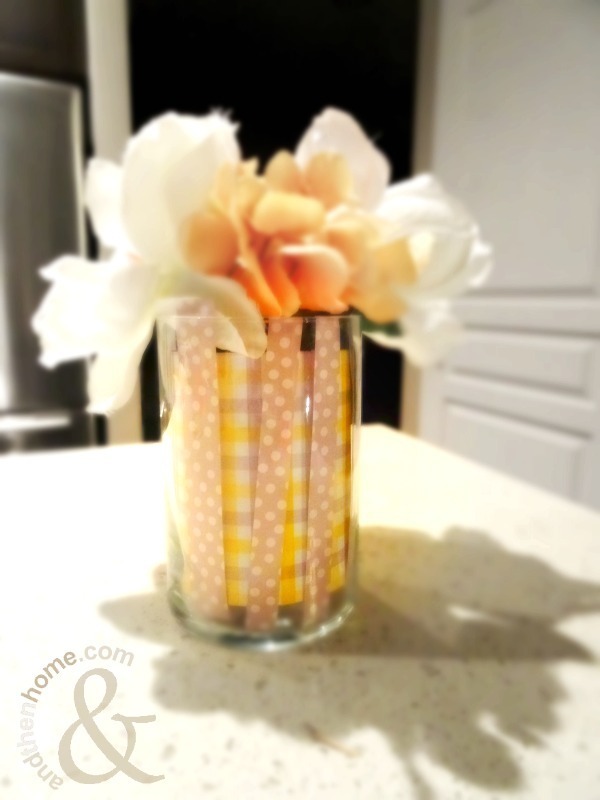 Lay the stripes inside the larger vase and then slip the smaller vase to sit inside. The smaller vase will hold the water so that the paper doesn’t get wet. If your having trouble finding the right vase – try looking here. That’s it! 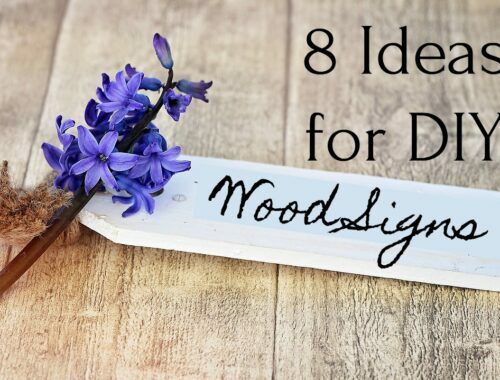 Add a beautiful floral arrangement to finish it off and you’re done!